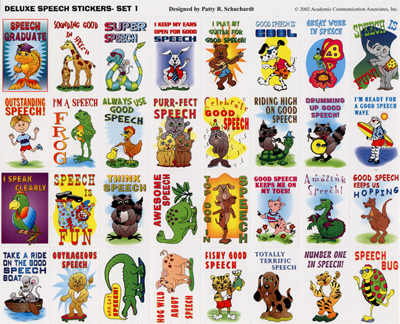 These speech award stickers are printed on high quality glossy stock. You receive 256 stickers in 32 unique styles.Use these stickers to reward students for progress in developing speech and language skills. These stickers were manufactured by Academic Communication Associates in the USA.